Hello All! So it’s a warm and windy morning and I just want to take a nice stroll on my bike to work. But then I’m worried about flashing the 20 construction workers I have to pass by with my skirt. So what do I do? What are my options? Wear pants again for 4000th day in a row? No. The answer is simple. Bike shorts. Yes, you heard me bike shorts. I rocked these hard when I was in preschool, without any over garments either haha. But I’m suggesting you go a bit more discreetly by wearing them under a longer dress or skirt. I found my pair for $6 through fab.com when they had an American Apparel sale. 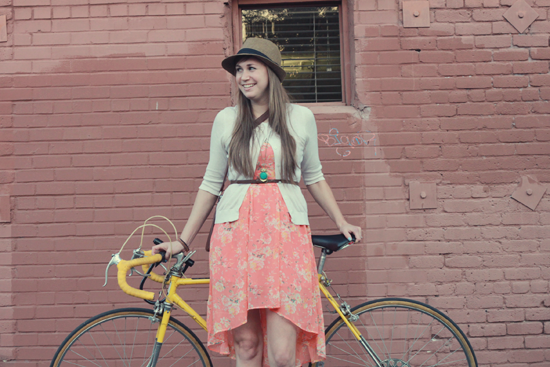 I’ve been getting daring and even wearing a maxi dress on my cruiser bike. It’s actually NOT so bad. My chain is covered so I’m not worried about anything getting caught. So try it out. 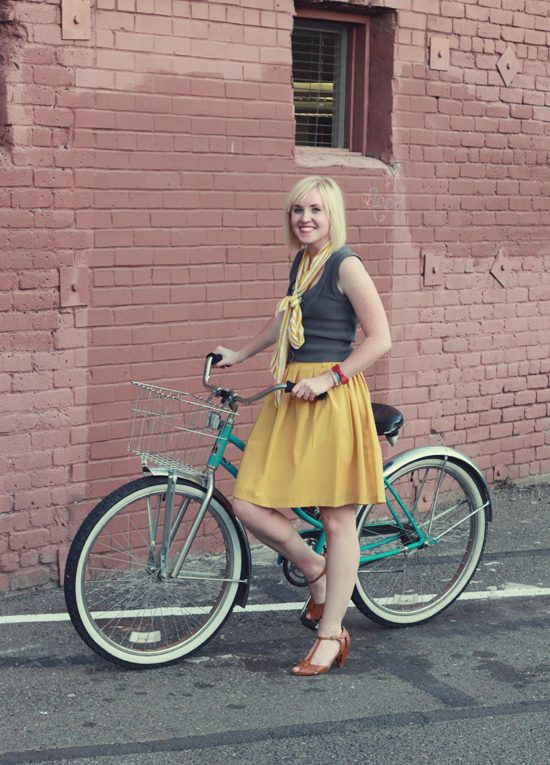 Jump on your bike, meet some friends and don’t be afraid to wear a fun dress or skirt! 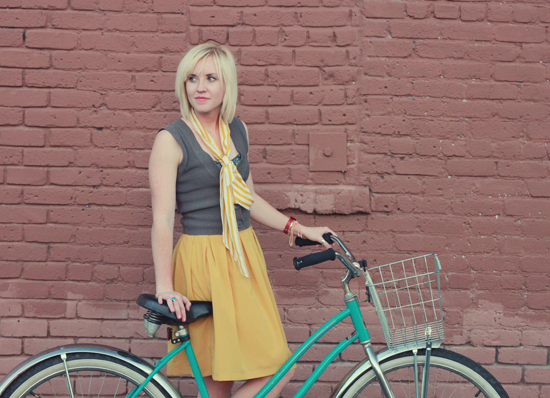 Now go get to peddling! Cuties!! I need to get me some of them shorts! 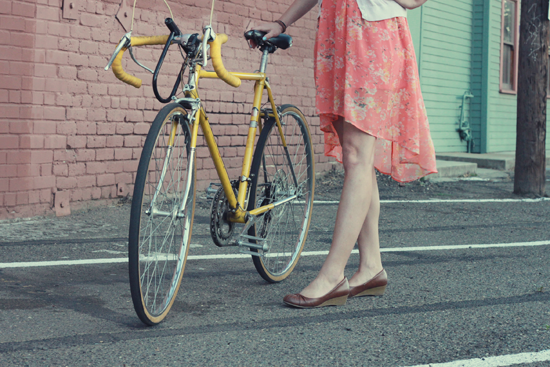 Bike ride to brunch soon! I just wanted to say that It’s very obvious that you are an extremely talented graphic designer. 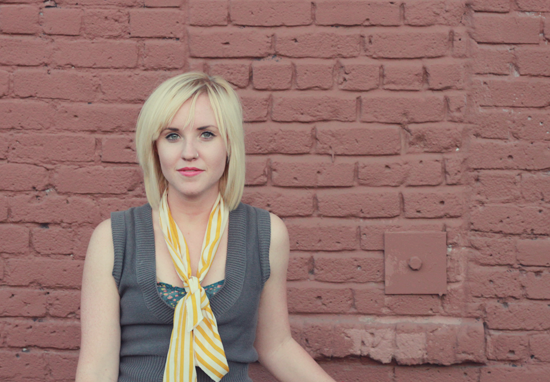 Your style is so cute and quirky… I just love it. This is just lovely! 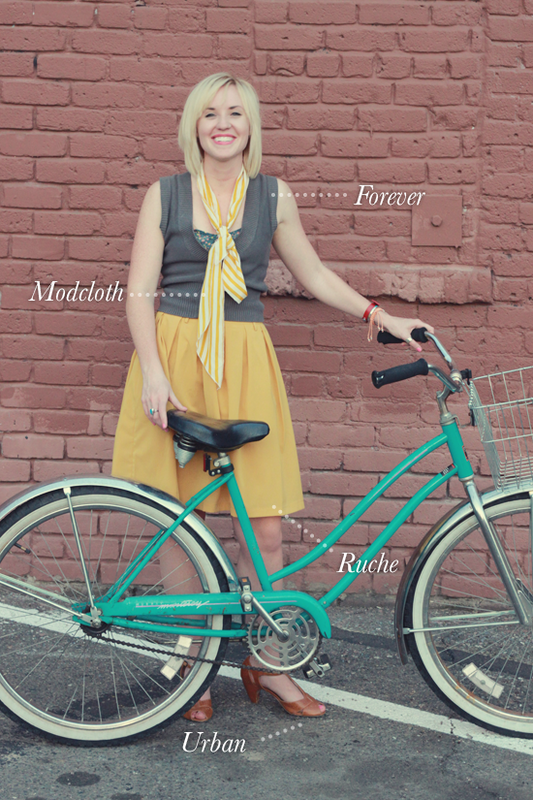 I noticed this today when making my fashion blog post about my new bike, and got inspired by your post. Mentioned you with a link on mine, too. Thanks again! That’s cool! Thanks for mentioning this post! 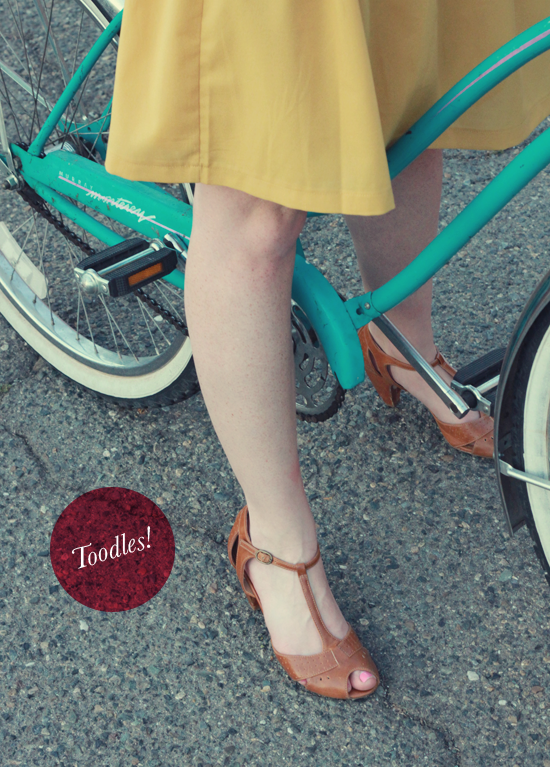 Riding bikes in a dress is awesome and totally do-able!